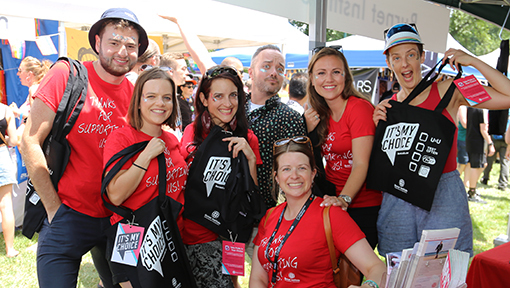 Tens of thousands flocked to Melbourne’s riverside Alexandra Gardens for Sunday’s 2019 Midsumma Carnival, where Burnet researchers fielded queries about the institute’s work. 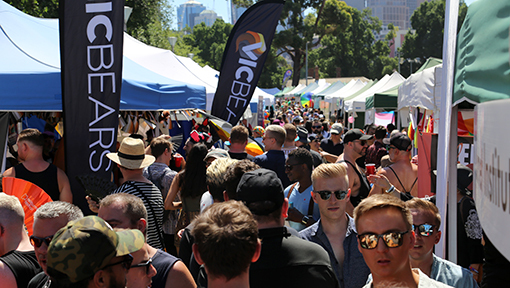 The carnival kicked off a two-week festival for Victoria’s LGBTQIA+ communities, providing a taste of events to come and an upbeat celebration of queer culture on a brilliant summer’s day. 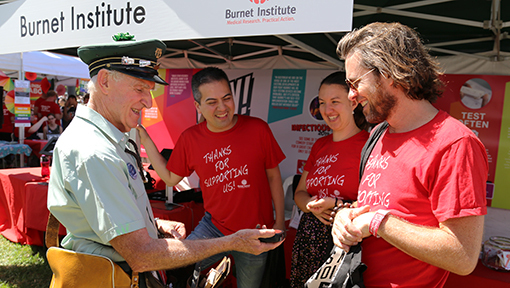 There was a steady turnover of curious visitors to Burnet’s stall, keen to find out more about the Institute’s research and public health work, including an enduring track record in ground-breaking HIV research. Head of Public Health, Professor Mark Stoové said the strong interest is an affirmation of Burnet’s positive relationship with the LGBTQIA+ community. “We have a really good profile in the community, we’re very highly respected for the work that we do, especially through the many community organisations that we work with,” Professor Stoové said. Find out more about Burnet’s HIV research.